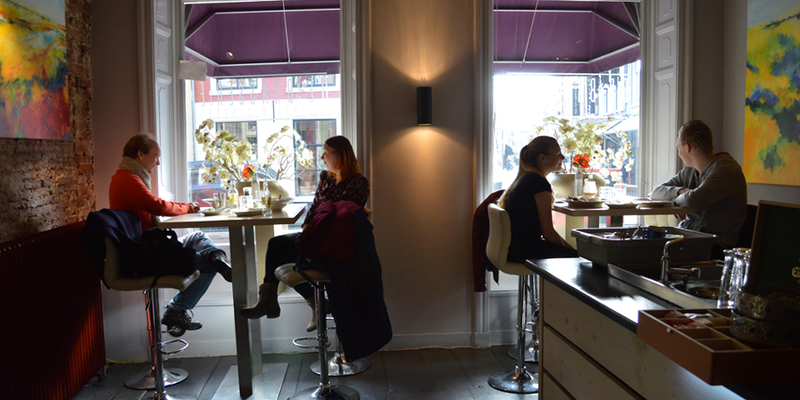 De Brasserie - Restaurants & Cafés in Leeuwarden. Lunch with friends or a fancy dinner? Stop by De Brasserie, where they only use fresh ingredients. 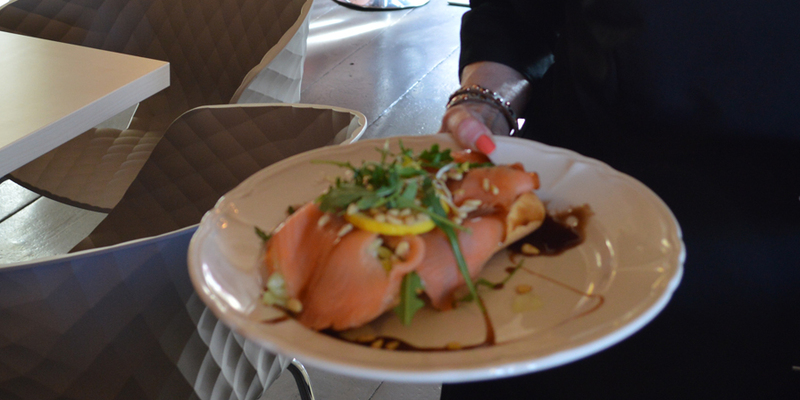 For instance, those delicous rolls are prepared with fresh salmon, delivered daily! Here’s a tip: during the Summer, the garden offers a wonderful place to enjoy your lunch and a unique experience in all of Leeuwarden! De Brasserie’s slogan is: surprising lunches and classy dinners. De Brasserie is just a little outside of the norm. 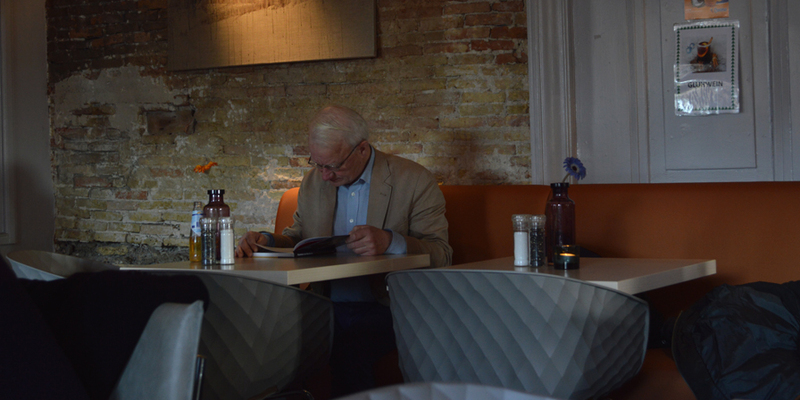 The restaurant draws in a formal crowd that is both mixed and a little older than average. Be seduced by the extensive lunch and dinner menu’s! The house speciality is mustard and brie soup, very Frisian! The décor is a combination of classic tones and modern accents. 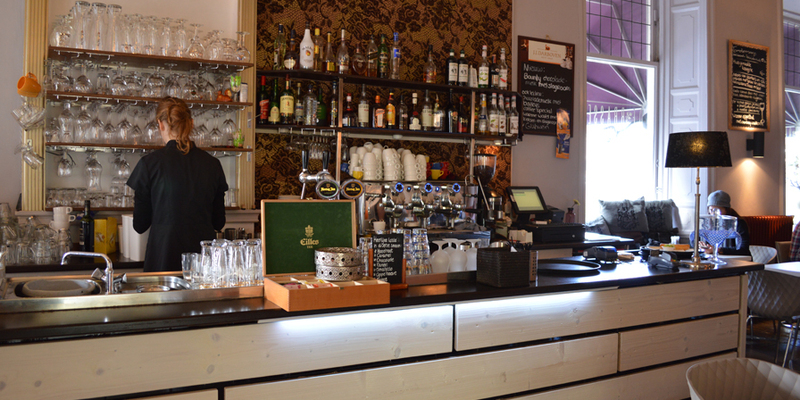 The atmosphere is warm, the welcome is hospitable and the staff is very friendly. The Grote Kerkstraat is a beautiful street with amazing facades, located in Leeuwarden old city centre. 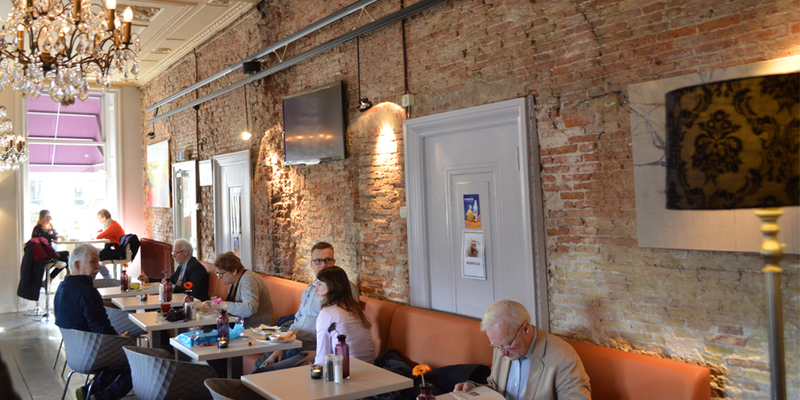 The restaurant is decorated with a changing collection of paintings by famous Frisian artists and is located nect to the well-known Ceramics Museum. Hertog Jan Lager and Hertog Jan seasonal beers.